Staff Sergeant Bobby Crane gets it. He understands the loneliness and hardship, but also the sense of relief and achievement that comes with being a soldier who has just returned from deployment to a station outside the United States, far from friends and family. As a USO Grafenwoehr volunteer, he uses his experience, knowledge and kind demeanor to make every soldier and military family member feel at home. When a particularly upset service member entered the center, Crane calmed him down and solved his problem quickly and effectively. 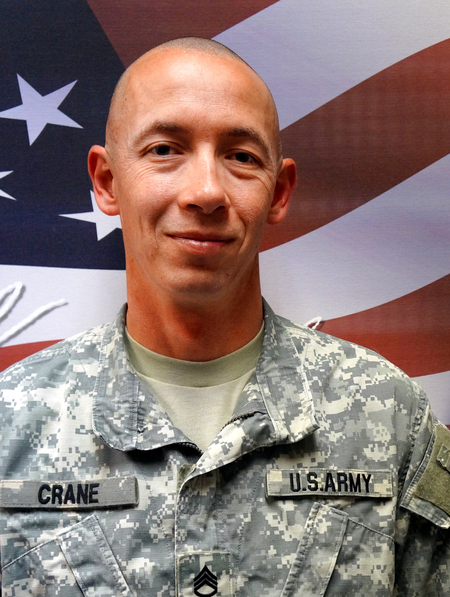 The soldier was so thankful for Crane’s assistance that he returned the next day to praise USO Grafenwoehr for training such a helpful and patient volunteer. Crane earns the respect of every new volunteer he mentors through his constant commitment to the USO’s mission and his dedication to doing the right thing. When USO Grafenwoehr needed help with a last-minute welcome home ceremony for soldiers from the 18th Combat Sustainment Support Battalion, Crane volunteered to execute the event, even though it was late at night. It’s just one of the many times when he put the needs of soldiers and families ahead of his own. Crane’s natural ability to make everyone feel welcome and at ease makes USO Grafenwoehr a home away from home for service members and their families in Germany. This story appears in the Spring 2016 issue of On Patrol, the magazine of the USO.